The Washington Post has created several data visualizations depicting how many years of life citizens around the world lose to air pollution. 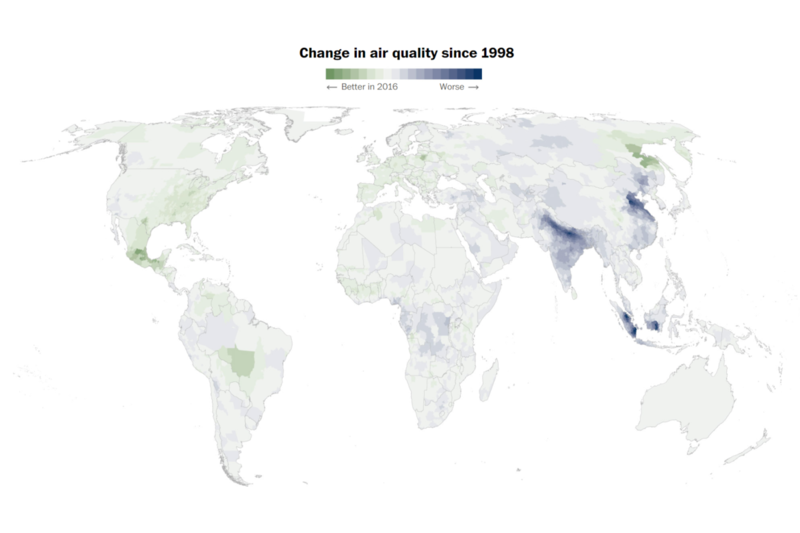 For example, the visualizations show the average person on Earth loses 2.6 years off his or her life to air pollution, while people living in two districts of India lose twelve years. The amount of vehicle exhaust, combustion of fossil fuels, and crop burnings in an area all contribute to the level of pollution, which consists of tiny airborne particles that penetrate human lungs and bloodstream to cause breathing and cardiovascular disorders as well as cancer. Users can search to find how air pollution affects the average life expectancy in different U.S. counties.